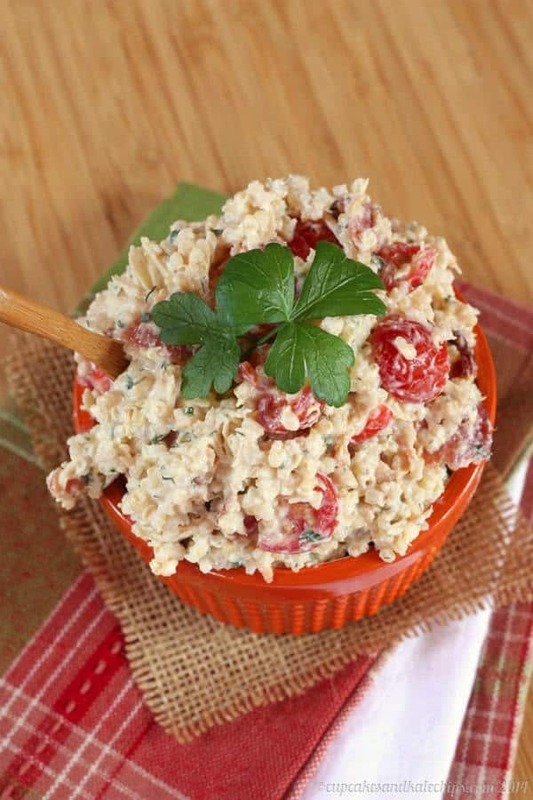 Comfort food flavors in a healthy, satisfying dish that is easy to make ahead for busy days. American Family Insurance is inspiring all of us to #ChooseDreams, and that means sitting down not only to #SundaySupper with our families, but also throughout the week. 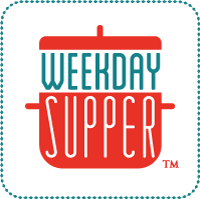 So we are also bringing you a month of #WeekdaySupper recipes for a Family Healthy Fit Lifestyle. 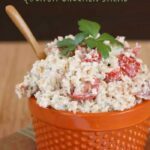 For comfort food flavors in a healthy, satisfying dish that is easy to make ahead for busy days, toss together a big bowl of Bacon Ranch Quinoa Chicken Salad. Disclosure: This post is sponsored by American Family Insurance. All opinions are my own. Ah, summertime! Sun, fun, playing at the park, going to the beach, swimming in the pool, riding bikes, going for walks. It’s definitely the time of year when we are all trying to get outside and be more active. It keeps us and our families heathy, fit, and happy. I know my boys love being out in the backyard, and they are even happier when we are at Grandma’s and spend our days splashing around in the ocean or pool. SO. MUCH. FUN. Yeah, till we have been outside so long that the boys are exhausted and cranky. They are covered in sweat and sunscreen, which is basically like superglue for sand, dirt, mulch, or whatever else they have gotten themselves into. This then necessitates a double bath, or at least a preliminary hose-down to remove all of that gunk, lest they be sitting in it once I am actually able to wrestle their overtired, strong-willed little bodies into the tub. It’s not a pretty scene. But it’s the price we pay for trying to help the little guys expend some of their boundless energy. And the craziness doesn’t end when back-to-school time is upon us. Those early days of they year when there are parent meetings, sports practices, orientations, shopping for the school supplies you forgot or didn’t know you needed. And everything takes longer than usual because we are all tying to settle back into our school-year routine. Bacon… check! Ranch… check! Chicken… check! Quinoa… ??? OK, bear with me on this one. You may know I’ve been on a kick with these quinoa chicken salads after my Hubby and boys surprisingly devoured Strawberry Mango Lime Quinoa Chicken Salad and Mango Avocado Quinoa Chicken Salad. Once cooked and cooled, the quinoa takes on a completely different texture that is much more appealing to my guys, and combined with chicken and tons of other flavors and favorite ingredients, and these recipes have now become staples in our household. I bet you can convert the most quinoa-resistant folks in your house. 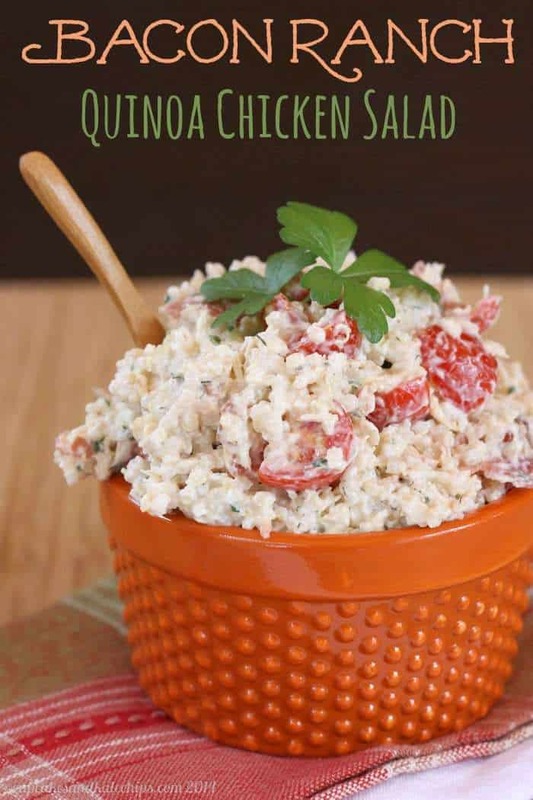 Especially when you bring in some comfort food flavors, like Bacon Ranch Quinoa Chicken Salad. Wait, aren’t we supposed to be talking about healthy recipes? Why yes, yes we are! You see, in this entire batch of salad, there are only four slices of bacon that have been cooked and drained well. Just enough to add that smoky, salty flavor. You could even go with turkey bacon! 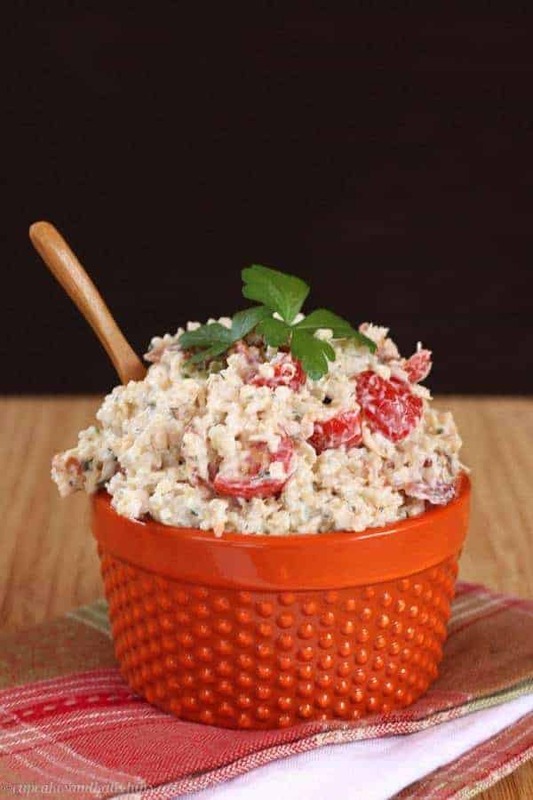 And while you could really use any Ranch dressing or dip that you like, my Pantry Greek Yogurt Ranch Dip adds in tons of protein and calcium, takes out all the funky stuff, and can easily be made with ingredients you always have on hand. Serve it over salad greens, in a wrap, or just alongside some cucumber sliced or steamed carrots or broccoli, and it doesn’t get much easier or better for you. That is where Sunday Supper (and Weekday Supper) comes in. Together with American Family, we are giving you recipes and ideas for a Family Healthy Fit Lifestyle, whether this means getting the family outside together, making healthy recipes for performance or families on the go, or being healthy on a budget. 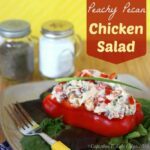 So I hope you’ll try this and many of the other nutritious and delicious recipes on the Family Health and Fitness #ChooseDreams Pinterest board. We will be pinning lots of amazing Sunday Supper and Weekday Supper recipes, from appetizers and salads to main dishes and desserts, all summer long! How have you been trying to feed your family healthy foods while you’ve been on-the-go? Add the bacon and tomatoes, and toss to combine. Add salt and pepper, to taste. 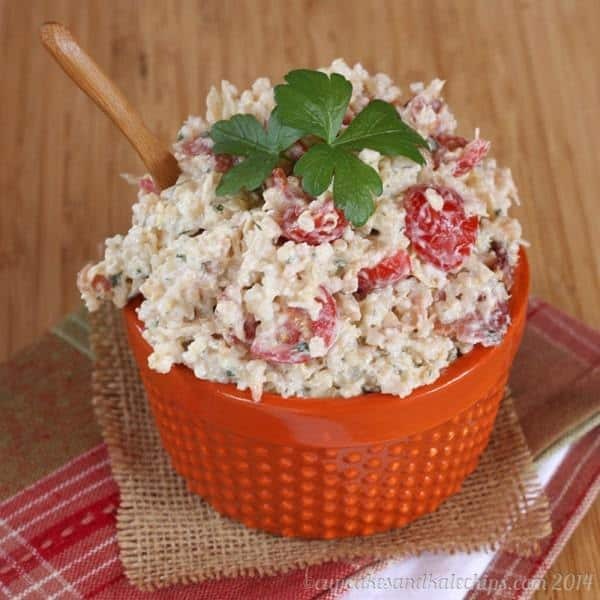 Serve over salad greens or in a sandwich with additional Ranch dip/dressing, if desired. 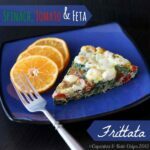 Looking for some more healthy, easy, make-ahead meals? Made this tonight for lunch this week. So ao glad I did. The recipe is so simple to make and beyond amazing! Will make this again! 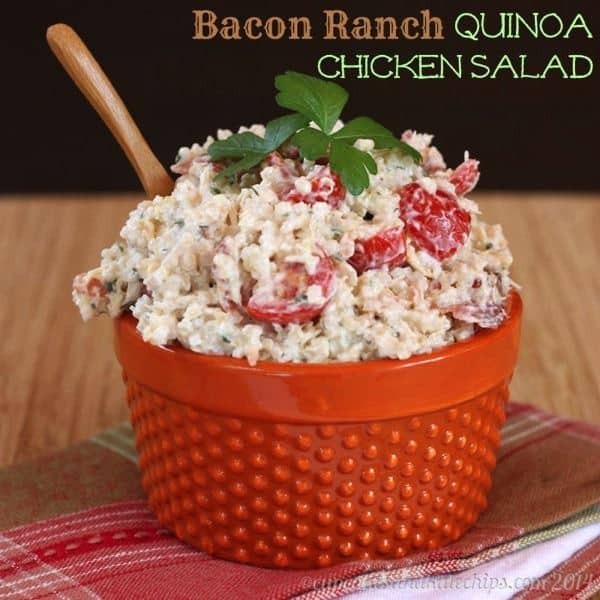 I LOVE quinoa, I LOVE bacon and I really like chicken, so I’m def gonna try this recipe!! I’m sorry, no I have not done the calorie calculations. This looks so good. I tried Quinoa for the first time recently, and I’ve been missing out! I’ll need to give this a try. Quinoa is so versatile! Hope you enjoy this recipe! I could really go for a big bowl of this right now! Love the quinoa. Thanks! It was really tasty! This sounds the perfect dinner to me; we love summer as well. Sun – fun and summer feet 🙂 Love when the kids play outside all day and come in for a deliciously healthy dinner. Perfect! Oh my goodness, I haven’t even had a coffee yet today and I want that badly!!! Well it’s not really my kind if breakfast, but it makes a great lunch! 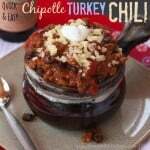 I’m super excited that I just happen to have all of the ingredients for this in my house!! Yummy! It does make a great meal with things many people often have on hand! This sounds good, like the perfect lazy night meal for me! Love the photos too! Thanks Susan! And then leftovers for lunch! I think this is a salad that might actually get my husband to like quinoa. Put bacon and ranch on anything and he would like it. Yeah, it’s taken some work to get my hubby to eat quinoa, but he does like it in cold salads with chicken. Bacon and ranch don’t hurt either.